Please help us find our baby!! 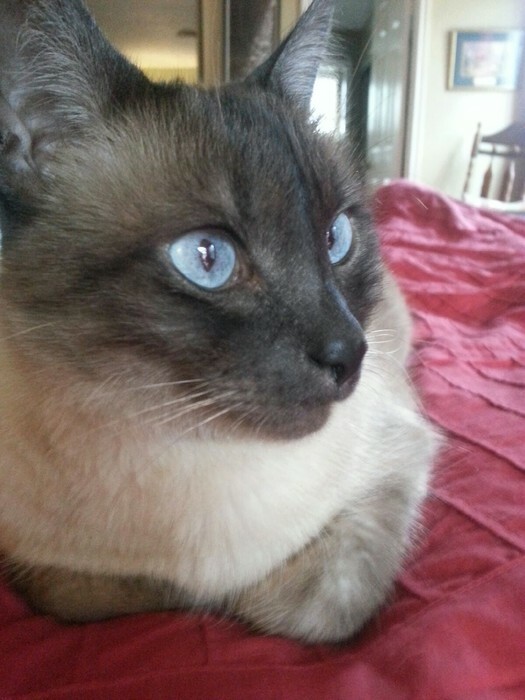 He is a 5 year old Siamese mix with slight rings on his tail. He is very afraid to be outside. If you've seen him please call 512-820-2903. There is a reward. He has bright blue eyes, a dark gray face and a light gray body.